There are currently 10 users and 4259 guests online. Just completed a rebuild of a baron Sportsman, Took three years, every section of the boat was taken apart. Know every detail of a Baron. 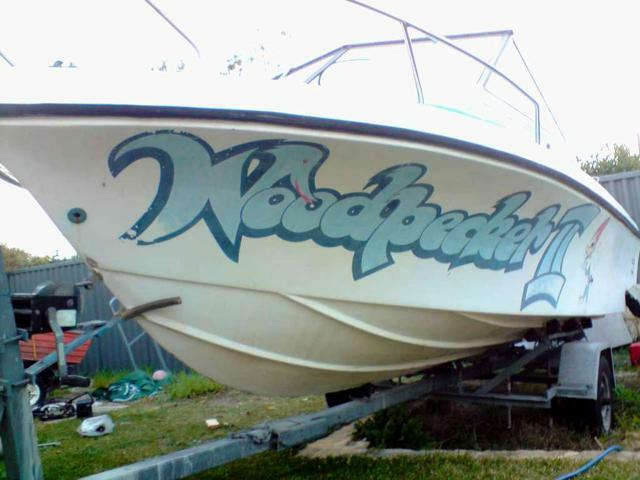 Rebuild included, cabin, under deck, increased deck height, transom, pod, paint and just about every part of the boat. has been in the water three times and the ride is excellent, has a 225hp mercy behind, is very quick and can handle it with ease. Can you take some shots of the stern and pod so we can get an idea what your problem may be?